Outdoor Adventure Education Seaking Victoria. 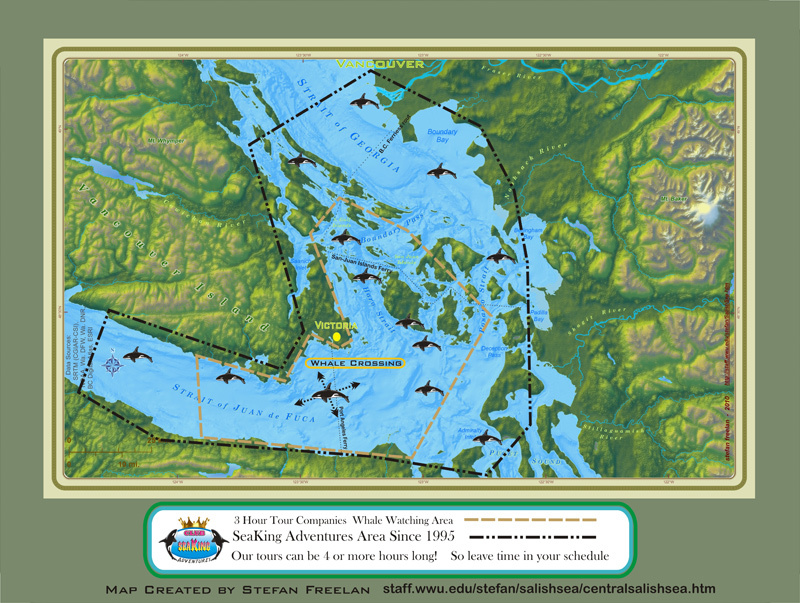 Embracing the southernmost tip of Vancouver Island, Victoria BC is the gateway to the Salish Sea. 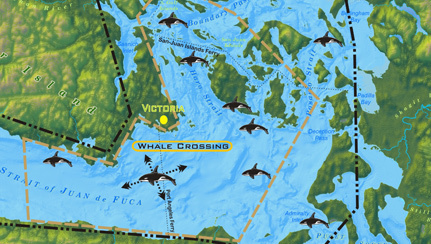 Strategically located at the intersection of Haro and Juan de Fuca Straits, these ocean “highways” conduct wildlife right to the city’s doorstep. The constant flow of both inbound and outbound animals creates a wealth of wildlife opportunities throughout the year. A temperate coastal climate ensures 4-season access to our Pacific playground. Spring, summer, winter, fall … adventure is always in season! 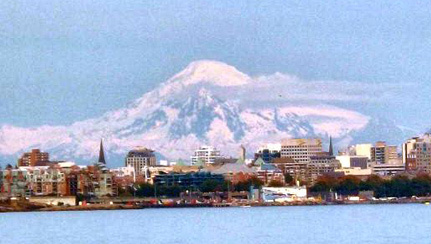 Victoria’s central location provides unlimited access to the Salish Sea. An east bound journey travels past the scenic Gulf and San Juan Islands before crossing Georgia Strait to the city of Vancouver and the mouth of the mighty Fraser River. 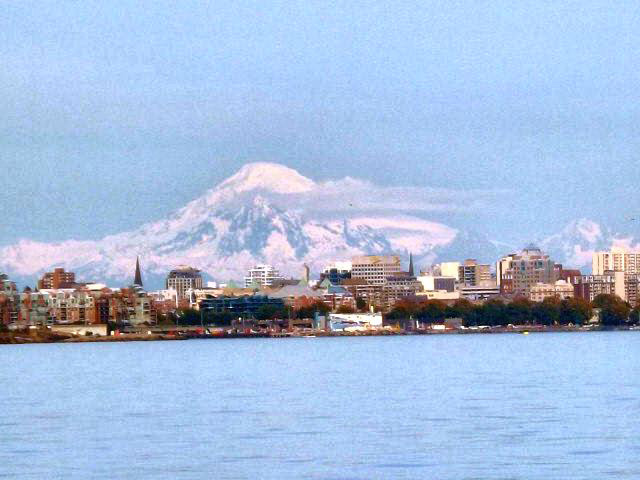 To the south lie the vast inland waters of Puget Sound and the massive snow-capped volcanoes that dominate the Washington State skyline. 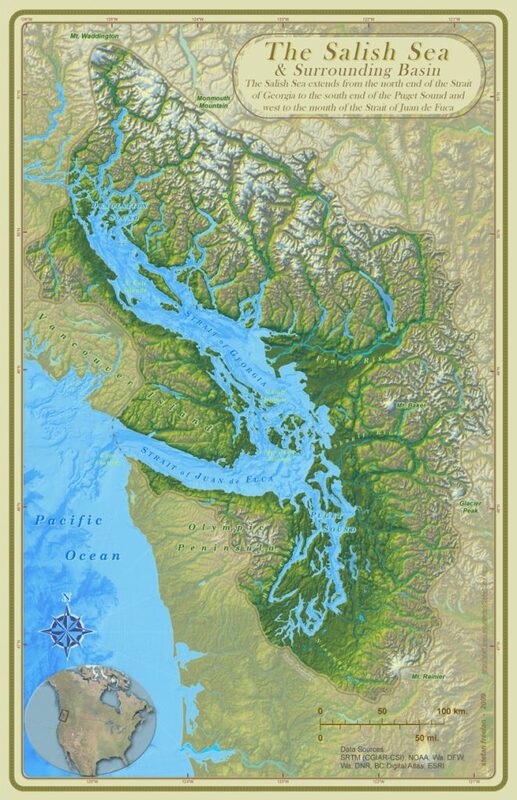 Heading west towards the open Pacific Ocean, the Strait of Juan de Fuca reveals the rugged Race Rocks Ecological Reserve and shores still shimmering with pristine wilderness. Regardless of direction, every adventure takes place in world class cruising waters. 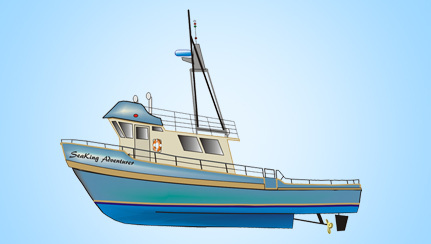 Take a ride on the wild side with our Salish Sea adventures! 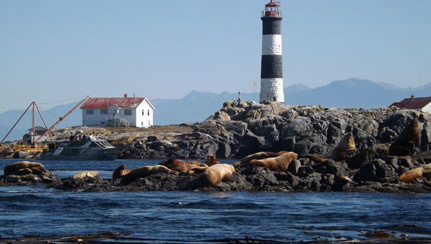 Only a short distance from downtown Victoria, an ocean wilderness awaits! 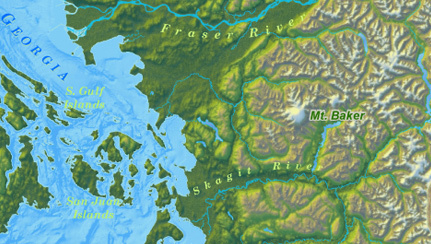 Here the snow-crowned Olympic Mountains virtually soar from the sea bed. The giant kelp forests swaying at their feet can grow a metre a day. 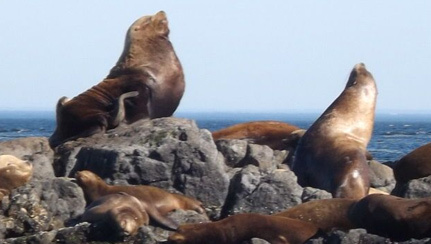 Enriched by currents and tossed by tides, these 10C waters provide a cool nutrient-rich “soup” that sustains whales, porpoise, seals, sea lions, fish and an astonishing array of marine birds. TOURS DEPART AT 10:00 A.M. AND 2 P.M. DAILY. CHECK IN 9:30 A.M. AND 1:30 P.M. 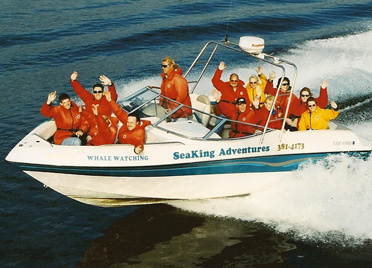 In 1997 SeaKing became the first company in Victoria to offer our free guarantee to passengers who did not see whales. 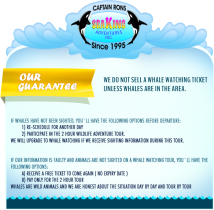 For the past 18 years we’ve given any passenger who didn’t see whales a free non-transferable ticket for another trip. These are reserved tickets (not stand-by passes) and there is no expiration date. Sightings information is shared between companies and dispersed via a network. 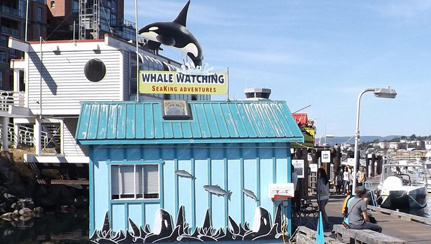 Whales, however, are wild animals and we cannot guarantee a whale to appear on a certain date or time. 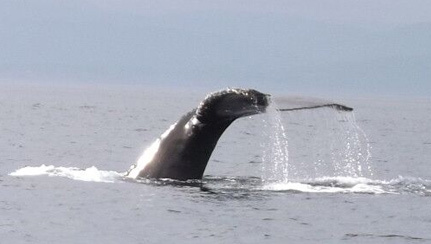 If possible, schedule your tour so you have the opportunity to go again if weather or whales aren’t cooperating. We don’t charge more for going the extra mile! 80% of our tours are 3 hours in duration. 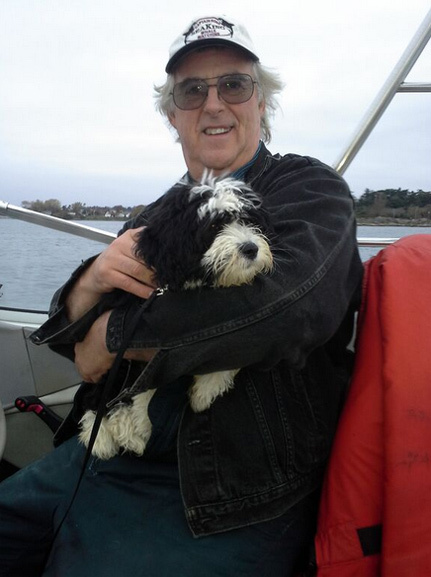 There are times, however, when the animals are beyond the range of a 3 hour tour. On these occasions we’ll cover the extra distance so tours can run 3.5 to 4 hours or longer! Wild animals don’t watch clocks so please leave some flexibility in your travel plans. We’re the first boat to leave the harbour and usually the last to return. 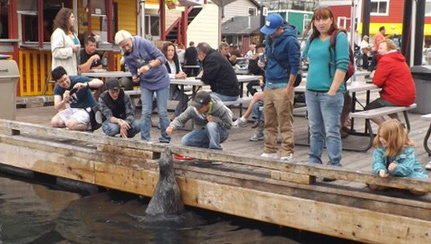 The focus and objective of every tour is viewing west coast wildlife. We don’t add extra time or extend the tour to include joy riding, sightseeing, etc. Tour length is determined by the activities and location of wildlife. The length of our season is determined by weather and wild animals. Weather permitting, our tours begin in April and continue until October 31. 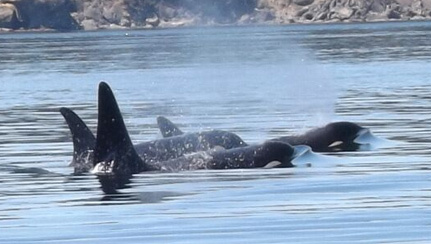 Following the first early salmon runs, our resident Killer Whales generally return to our local waters at the beginning of May and remain until the salmon spawn begins in mid-October. They visit the area sporadically during the winter months. 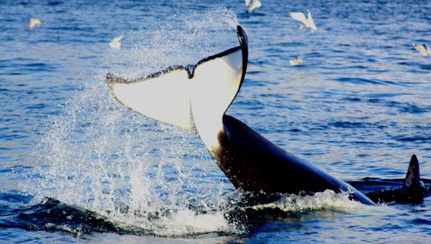 Transient Killer Whales can be viewed year-round but are most prevalent in the fall when seal pup and sea lion populations are at their peak. The optimal time for viewing Humpback Whales is during the summer and fall. Gray Whales have been known to “homestead” in the area and can sometimes be viewed throughout the season. Minke Whales are the only other resident species and are frequently sighted from April to October. 2014 marks SeaKing’s 20th year. Owned and operated by Captain Ron King, we are proud of our perfect safety and incident record. No injuries, no accidents, no out-of-court settlements and no misconduct fines or court appearances! 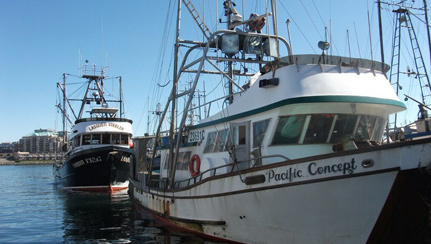 We have 1 boat and offer 2 tours daily at 10:00 a.m. and 2:00 p.m. Each tour is limited to only 10 passengers (12 for private charters). There are no large crowds so personal attention is guaranteed! We were born green! Our floating office building/gift shop Treasure Chest was completely built from reclaimed and recycled materials. Our vessel SeaKing has the lowest fuel consumption, lowest levels of noise pollution, and lowest emissions in the industry. 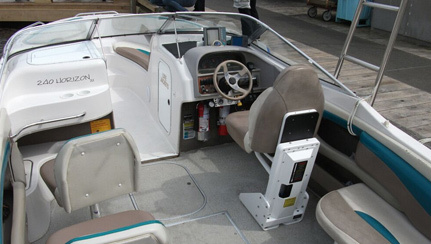 Our quiet inboard engine is re-built when necessary – we do not use disposable out-board engines on any of our boats. 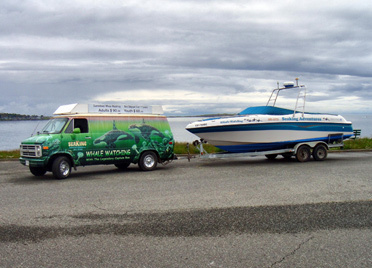 Victoria whale watching companies have contributed as estimated 400 outboard engines into the landfill since 1995. 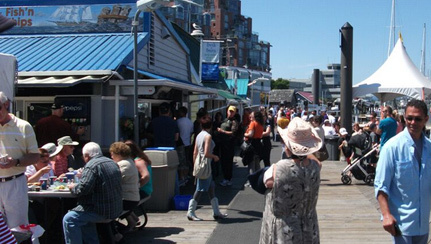 Fisherman’s Wharf is an urban oasis nestled in Victoria’s busy Inner Harbour. 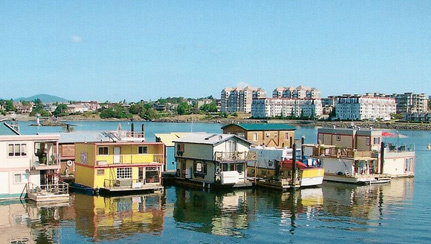 Featuring an eclectic mix of floating homes, adventure tour companies, a fish store, food vendors, commercial fishing vessels and yachts – there’s something for everyone at our friendly wharf! Enjoy fish and chips, steamed crab, ice cream, gourmet coffees and pastries before or after your tour. 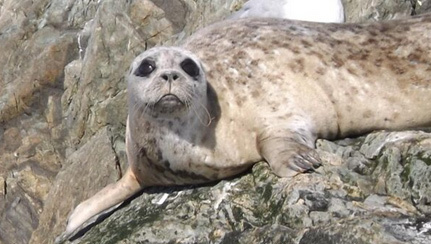 Come and feed our friendly seals or scan the skies for eagles, hawks, osprey and herons. 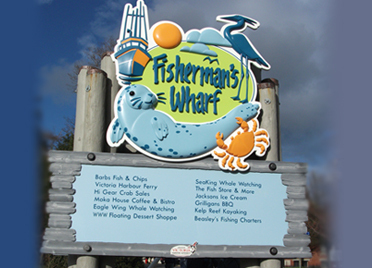 Find out why every visit becomes a vacation at friendly Fisherman’s Wharf. 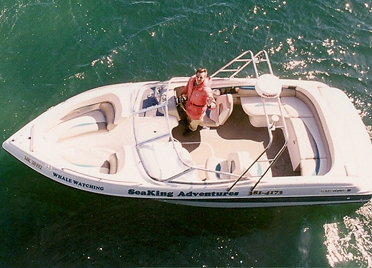 SeaKing combines the thrill and excitement of speed with comfort and style! Unlike our competitors, we don’t use disposable out board engines. 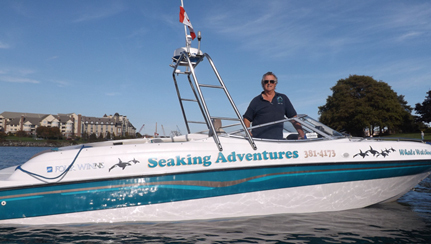 Our virtually silent 350 hp inboard engine generates an average cruising speed of 50 km/p (30 mph) , consumes 50 – 75% less fuel per tour than any of our competitors and is rebuilt when necessary. Our incredible 100 mile range is more than double the distance covered by most companies. Our wrap-around seating guarantees that every seat is a window seat! There are no benches or rows to navigate and no heads or shoulders to block your view. Walk around access from bow to stern means you’ll be in the right place at the right time for that perfect photo. There’s dry storage for your belongings and a private marine head (bathroom). Rain doesn’t dampen our spirits because SeaKing can be covered during poor weather. Our 4-speaker hydrophone system (underwater microphone) lets you “eavesdrop” on whale conversations in surround sound! Scheduled tours are limited to 10 passengers. 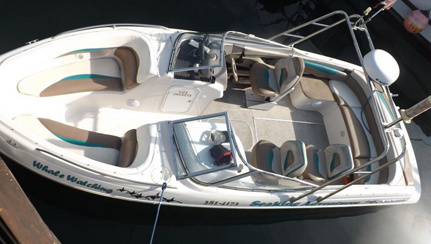 Private charters can accommodate 12 passengers. Optional full length cruiser suits, gloves and sunscreen are provided.